Special effects giants WETA weren't just involved in the making of The Hobbit, their merchandising arm is responsible for selling all kinds of awesome Hobbit gear as well, much of which they took the wraps off for the first time today. Meaning we've got our first look at a range of 1/6 figures, authentic prop replicas, maps, posters and art prints. Everything but the One Ring itself, really. Oh, actually. 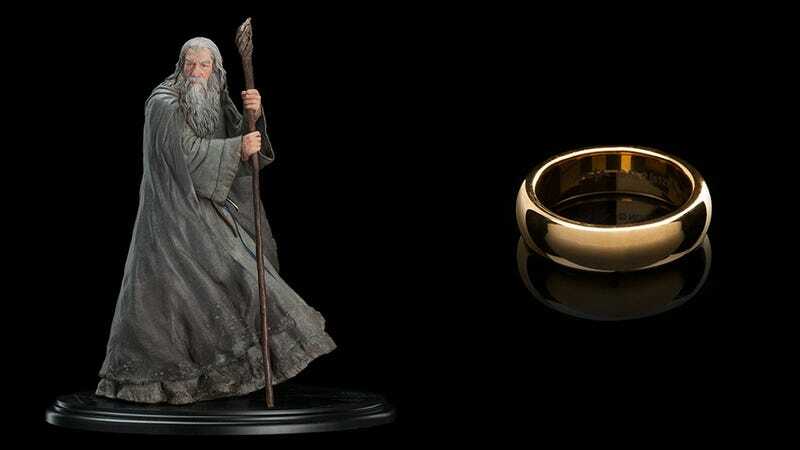 No, wait, there's a replica One Ring as well. A slight warning: much of this stuff is pricey, but if that doesn't concern you, check out more at the link below.